We have a fab festive giveaway for you, thanks to the Irn Bru Carnival, Europe's largest indoor funfair! Test your bravery on this year’s selection of thrilling rides with new additions, Airmaxx 360 and the Wild Mouse Rollercoaster, that are guaranteed to excite even the biggest of daredevils! Or for those who prefer a more gentle ride, family favourites, Big Wheel, Carousel and many more, return for another year. Hosting over 20 classic game stalls and activities, from Arcade Games and Basketball to Bungee Trampolines and Whac-A-Minion, there’s hours of endless fun to be had. 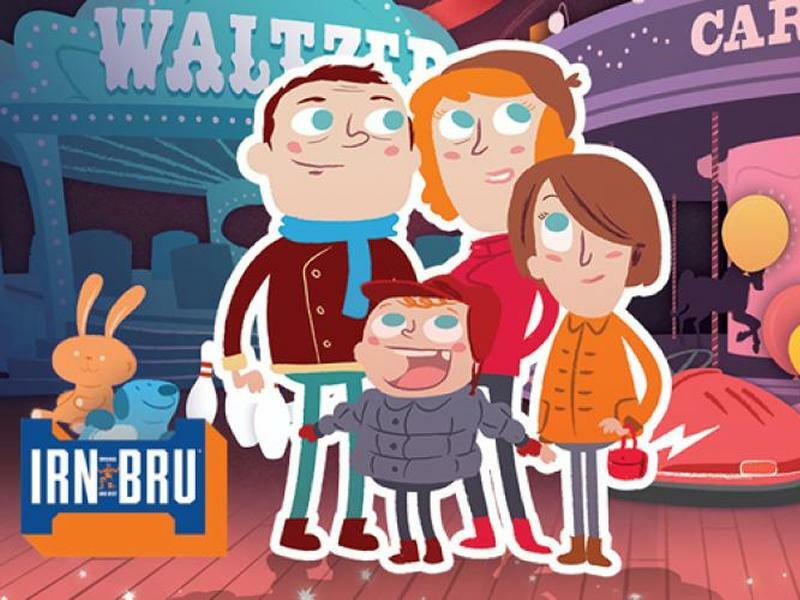 The IRN-BRU Carnival returns on Thursday 20 December 2018 and will be open until Sunday 13 January 2019*. Advance tickets are available now from £13 for general admission and £8 for concessions. All general admission tickets will include entry as well as five ride vouchers per person. • Prize is one pair of tickets to The IRN-BRU Carnival (travel is not included). • Prize is only valid for one day and can be redeemed between 20 December 2018 and 13 January 2019. • This prize has no cash alternative, is non-refundable and non-exchangeable. • The IRN-BRU Carnival reserves the right to refuse entry without explanation. 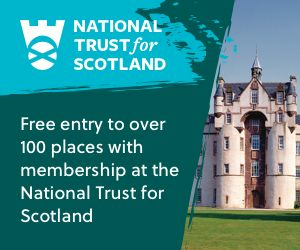 • Closing Date for entry is midnight on 13/12/18. The winner will be selected at random and the judge's decision is final. Two East Renfrewshire events will benefit from a share of £143,500 from EventScotland’s National Programme Fund! Fun-seekers are being invited to put their limits to the test at the Culzean Challenge, and to explore one of Scotland's heritage treasures as the same time! 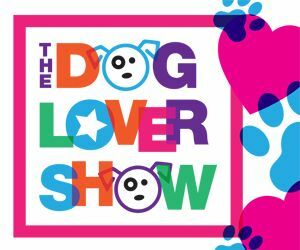 Theatre show on the hunt for audiences! Do you run a group for young children? Would you like a free theatre show to come visit you? Then book Calvinball today! It's a show - it's in the fresh air - it's fun - and it's freeeee! Foodies have been urged not to miss this weekend’s Paisley Food and Drink Festival as the town gets set to host its biggest and best culinary extravaganza yet! Located in the heart of New Lanark World Heritage Site, the 'Wee Row' provides a unique hostel experience like no other! Trix the Tyrannosaurus rex is all ready to meet Scottish and UK audiences at Kelvin Hall in Glasgow! Thousands of the world’s top pipers and drummers will again descend on Paisley for one of the biggest dates in the global piping calendar! Castlebank Horticultural Centre has been awarded 'runner up' in the LEADER category as part of the inaugural Rural Inspiration Awards, co-ordinated by the European Network for Rural Development! Flip Out Glasgow has teamed up with local taxi company Hampden Cars to provide free travel to the arena for local community groups, schools and charities. For 15 weeks from Thursday 18th April, Glasgow's Kelvin Hall will host the world's only real touring Tyrannosaurus rex skeleton! Dippy on Tour surpasses one million visitors milestone! Dippy on Tour: A Natural History Adventure has been visited by more than one million people, breaking records at every venue visited so far! With heatwaves and Brexit on the horizon, a 'staycation' has never been more popular, research shows more than half of Brits are expected to ditch overseas travel in favour of a Great British break! Don't miss artists such as Stormzy, Catfish and the Bottlemen, George Ezra, Gerry Cinnamon, Snow Patrol, The Cure, CHVRCHES, Courteeners and more in Glasgow and Edinburgh this Summer! Businesses in Lanarkshire are being encouraged to become world leaders in sustainability and embrace the economic opportunities that environmental changes can bring. Spring is here and Castlebank Horticultural Centre is opening its doors to the public with an 'Easter Open Day' on Easter Monday 22nd April, with a range of activities for the whole family to enjoy! There’s plenty of fun on the menu for kids at this year’s Paisley Food and Drink Festival with a range of hands-on foodie experiences and amazing live entertainment. Flip Out Glasgow, has launched an appeal for creative and imaginative primary school pupils across Glasgow to take part in its mural competition to win one-months free jumping for their whole class. Rat Race Adventure Sports will again stage the audacious 100km off-road running challenge on the Isle of Arran, Scotland in miniature, on Saturday 13th and Sunday 14th April! The award-winning Gin71 bar is coming to the Paisley Food and Drink Festival 2019 to give visitors the chance to enjoy a perfect serve of top artisan gins. A year-long cultural engagement programme created for the LGBTI+ elder community in Scotland has launched which will culminate in a spectacular final event in Glasgow 2020! CHICAGO surpasses 1,000 ticket sales! Lanark Amateur Musical Society (LAMS) are celebrating surpassing 1,000 ticket sales for their production of CHICAGO taking place in Lanark Memorial Hall, from Thursday 21st to Saturday 23rd March! Rewind Festival announces fun filled family friendly activities! Not only is Rewind Festival returning this summer with a fabulous line-up -celebrating music icons of the 80s and beyond, this year, it will also offer a brand new array of family-friendly activities! Beer lovers will be able to enjoy all the fun of this year’s Paisley Food and Drink Festival as organisers are teaming up to host a Renfrewshire CAMRA Beer Tent. Scottish stars join forces to support Red Nose Day! Scottish stars Richard Madden, Lewis Capaldi, John Hannah, David Tennant, CHVRCHES, Kyle Falconer and more lend their voices to raise vital funds for Comic Relief 2019! Castlebank Park in Lanark has been named as one of the 25 finalists from all over Europe, out of over 170 submissions, in the European Network for Rural Development (ENRD)'s Rural Inspiration Awards. Scotland’s garden tourism industry is set to bloom further as £37,000 funding has been awarded to national garden tourism group, Discover Scottish Gardens, to build on its success. DF Concerts are thrilled to announce Scottish singer-songwriter Lewis Capaldi will headline Edinburgh Summer Sessions on 14th August. Paisley is teaming up with independent street food market PLATFORM for its biggest and best Food and Drink Festival yet! Make the most of the spring holidays with all the family this year by taking a break with Macdonald Resorts. It’s starting to hot up in Renfrewshire with a host of spectacular events taking place this spring and summer! Roll Up, Roll Up! The Big Kid Circus is in town! It returns to Lanark Auction Market from the 24th to the 28th April! Get ready for a day full of family fun when Summerlee Museum's annual Classic Car Day returns on Sunday 28th April! St. Andrew's Hospice are holding their annual 'It’s A Knockout' charity event in Strathclyde Park between the 10th and 12th of May! A pro celebrity charity football match featuring several celebrities and football legends is being held on Saturday 22nd June at Penny Cars Stadium, Airdrie! An undercover car boot sale is held at Lanark Agricultural Market on Sundays throughout the year from 8am to 2pm! 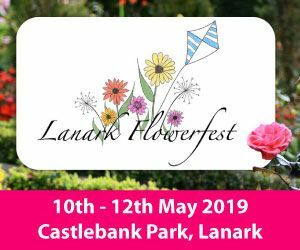 We pride ourselves on keeping you up to date on events in Lanarkshire taking place throughout the year. From the latest theatre events and live music performances to local activities and fantastic attractions, we keep you up to date daily! 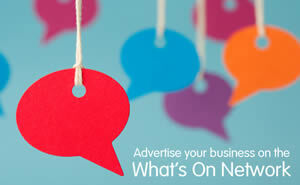 © What's On Network 2011 - 2019 | Your essential guide to what's on in Lanarkshire!